Here we go! 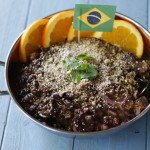 More Brazilian recipes this week to celebrate the Rio Olympics. I’m loving them so far, BTW. I’ve watched water polo and volleyball and swimming and gymnastics and road racing and synchronized diving and shooting. It’s all thrilling! What did you think about the Opening Ceremonies? I’m gonna be honest, I thought they were a little weird. But I guess they are always a bit artsy and weird. The parade of nations was fun, though. What about Tonga? Wow! Back to the recipe of the week. 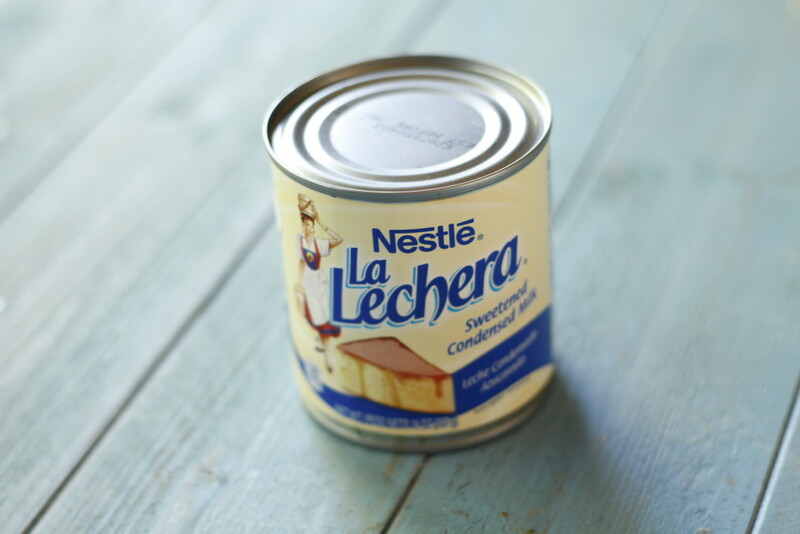 sweetened condensed milk! 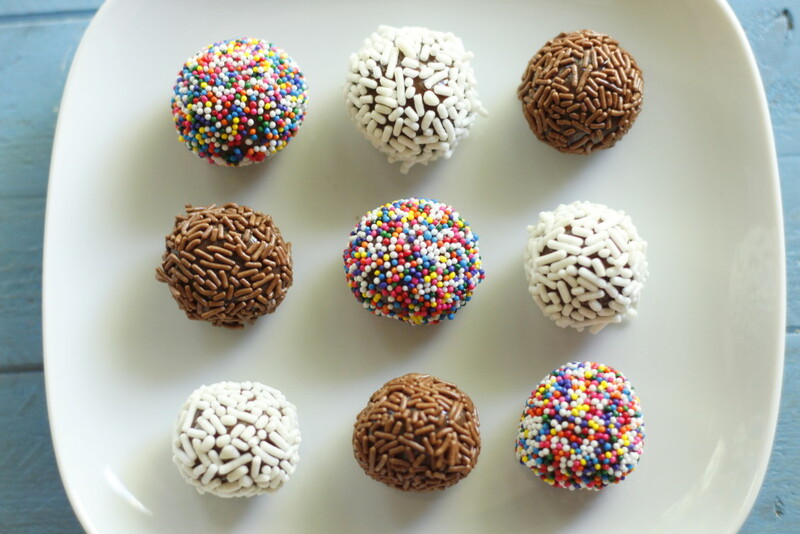 Brigadeiros are no exception. 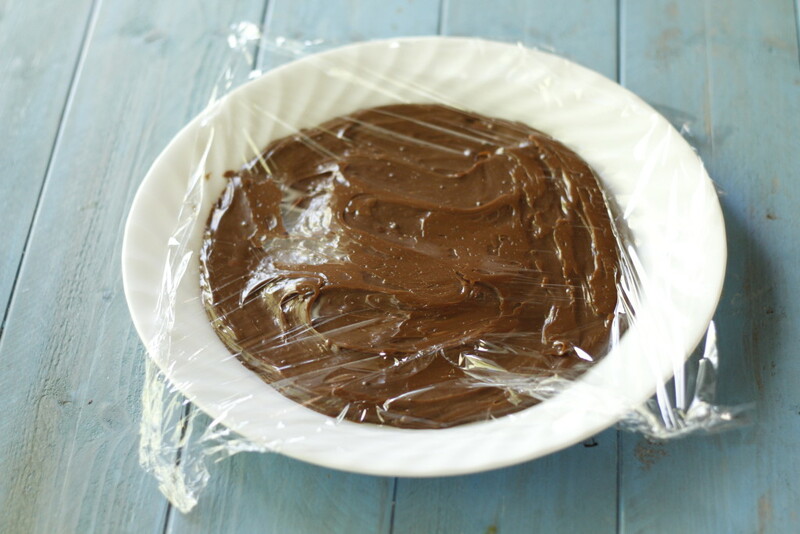 Brigadereiros are the quintessential Brazilian candy, they are served at all parties. They are like a poor man’s truffle, made with sweetened condensed milk. They are rich and decadent and fun. And they are easy. Like, super easy. 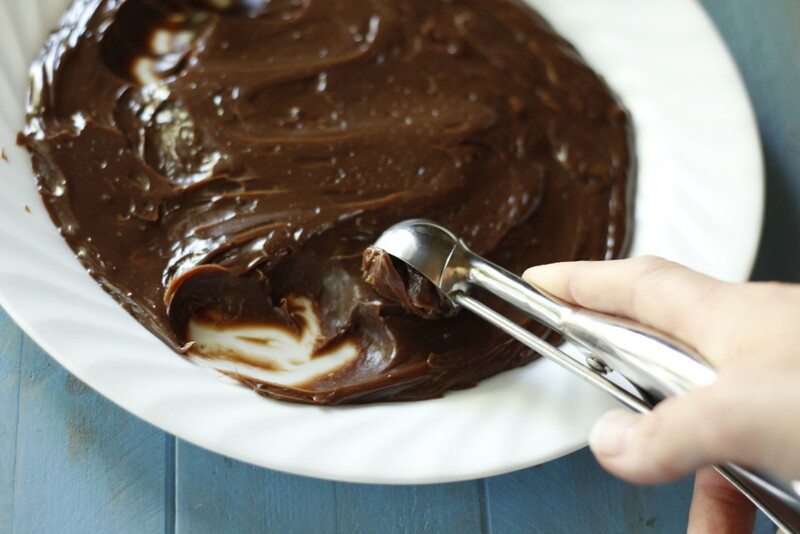 Heat the ingredients in a sauce pan, stirring constantly, until the mixture gets thick and leaves a trail that doesn’t go away when you drag your spatula or spoon through the mixture. Scoop it out on a plate covered with plastic wrap and let it cool in the refrigerator. 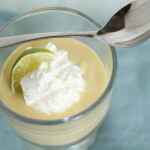 Scoop out little portions of the mixture with a teaspoon or tablespoon or anywhere in between. It helps to spray the spoon with cooking spray. This stuff if kinda gooey and sticky. Roll them into little balls between your hands. It helps to wet you hands slightly or even use a little cooking spray on your hands. Then roll the balls in whatever sprinkles your coatings you want to try. Place them in little candy liners if you have them. It helps to keep them cool until you are ready to serve them. Now I gotta get back to the TV. Swimming is on again. Pour sweetened condensed milk into saucepan. 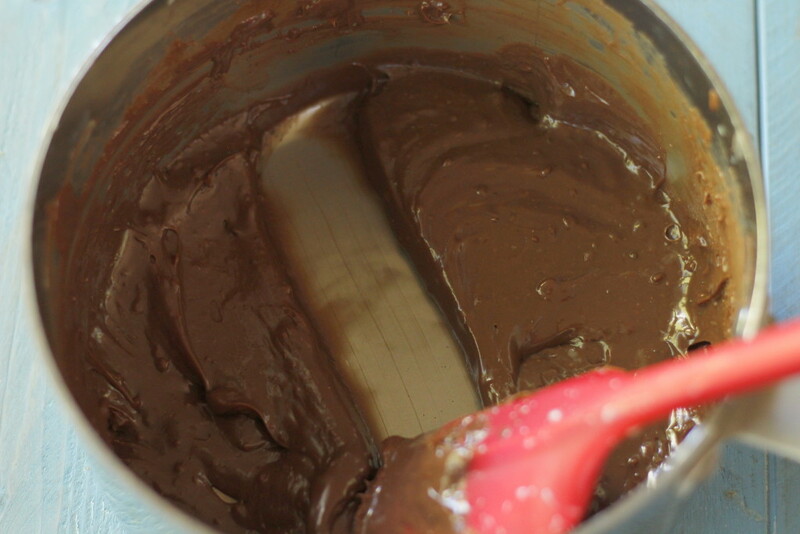 Stir in butter and cocoa powder until smooth. Cook over medium to medium high heat stirring constantly. Make sure to focus your stirring on the corners and sides of the pan to prevent scorching. Remove from heat once the mixture has thickened and when you drag you spoon through the middle, it leaves a trail that doesn't go away. About 7-10 minutes. 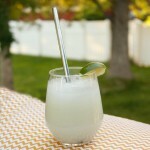 Pour out onto a plate or other flat surface and cover with plastic wrap. 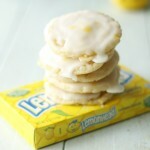 Refrigerate until it is cool and easy to handle. 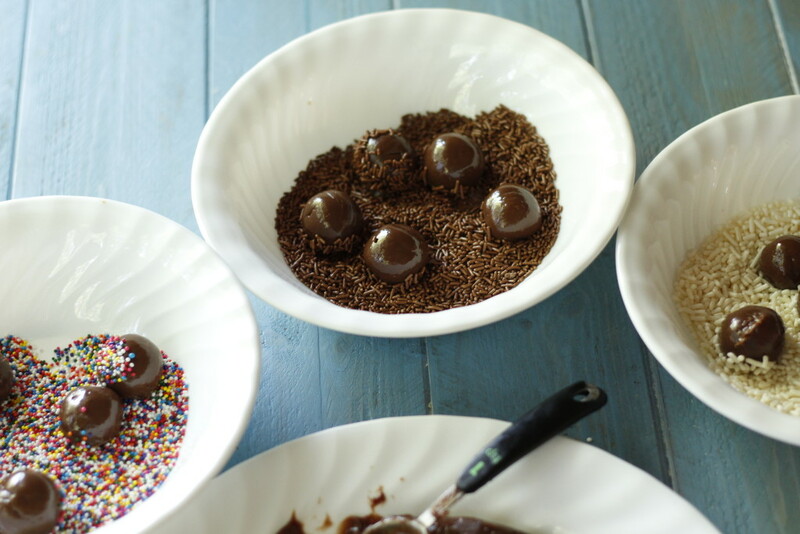 Scoop 1 teaspoon to 1 tablespoon (depending on how big you want your candies) of the chocolate mixture and roll into a ball with slightly wet or hands coated with cooking spray. 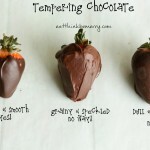 It helps to spray your spoon with cooking spray to keep the mixture from sticking too much. You can also return it to the fridge for a few minutes if it starts to get sticky and harder to handle. Roll in sprinkles, nuts, coconut or whatever else you want to try until coated.